​It puts new life into slide created backgrounds. Over and over we hear that slides are no longer available, especially form our foreign customers but with the continuation of slides, photographers anywhere in the world can have slide backgrounds without ever touching slide film. They shoot on digital, enhance the image if they want, and let Gamma Tech make the slides and there is no fear that slides are not available in their country. Slides are even more special because most people won’t even know what a slide (transparency) is. How does Virtual Backgrounds Work? shows how Virtual Projected Backgrounds actually works with slides. Click on the Arrow to view the video!! Now it is possible to start getting the many benefits of virtual projected backgrounds for minimal dollars during our warehouse clearance sale. 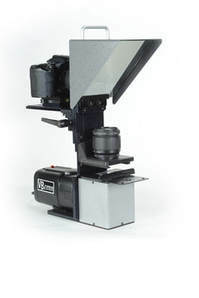 We have a number of factory refurbished background systems and screens available at a fraction of their original price. Cost is no longer an excuse for not getting into using virtual backgrounds. Each system has been carefully refurbished and aligned and comes with a warranty. If you are looking for the best possible way to become clearly different from all other photographers and have a marketing tool as well, check out our super sale prices. Limited time only. When they’re gone, they are gone. Email or call for information. Virtual backgrounds has made special arrangements with several of it's system owners to have them make their studio available to demonstrate how they use their virtual background system. Studio in Long Island NY and see VB​ in action. and talk with John about his experience with VB. San Antonio. Call (512) 805-4844 ext. 22 for more information. Just when most people thought that slides were dead and buried, they are actually resurrecting! Fuji Film has continued making slide (transparency) film and it has recently been learned that KODAK is going to resurrect their production of Ektachrome slide film as photographers and industry find certain advantages in using slides over digital. Slides have long been the basis for projected virtual backgrounds and although we now have digital projection, we have never stopped offering slide based systems because of their simplicity of operation and inexpensive cost. Slides actually do have some advantages including the projection of backgrounds. Virtual background photographers do not have to dig out their old film camera. They can capture all the background images they want as digital files which can be easily and inexpensively converted into actual slides for projection. The digital files can be sent to GAMMA TECH in Albuquerque New Mexico as uploads or to their drop box. The files are transposed into slides usually within one to two days and sent back to the photographer anywhere in the world. Gamma Tech is operated by Charley Dodge who is reachable at slides@gammatech.com The company website is www.gammatech.com The cost per slide is very reasonable. ​Long long before digital, photographers had transparencies (slides) for image storage and projection. The advent of digital caused slides to nearly disappear for a while until photographers learned about the advantages of slides over digital files for a variety of special applications. Kodak dropped out of slide making for some years leaving the market entirely to Fuji but has recently decided to rev up their equipment to produce slide film. Kodak slide film is expected to be available soon. Click on the Ektachrome FILM logo to read the Press Release from Kodak. 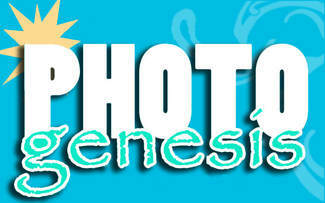 ​The Texas PPA PHOTO GENESIS convention will again happen in San Marcos Texas on the weekend of September 29th. San Marcos is also the home of Virtual Backgrounds. In cooperation with TPPA, Virtual Backgrounds will host the hospitality event on Friday evening September 29th, starting at 8:45 pm, at their San Marcos facility just a couple of miles from the convention site. There will be demonstrations of the Scene Machine and a special super value warehouse clearance sale of a wide variety of photographic items. for both studio and location photography. Enhance your current slide based system with new backgrounds. Purchase a new or refurbished slide based system. Purchase our latest totally digital background system. GREAT ADVICE FROM A VERY SUCCESSFUL BUSINESS MAN WELL INTO HIS SEVENTIES. ASKED HIM HIS TOP 3 TIPS FOR SUCCESS. HE SMILED AND SAID. Sounds like great advice for a professional photographer who wants to be really successful. His philosophy is the fundamental philosophy of Virtual Backgrounds. We enable the professional photographer to be more creative and do things no one else is doing. Pretty basic but extremely important stuff.